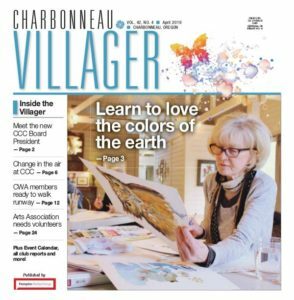 As was announced in the April Charbonneau Villager newspaper, to obtain better utilization of the outdoor tennis courts, a new membership type is being implemented for Charbonneau residents only. 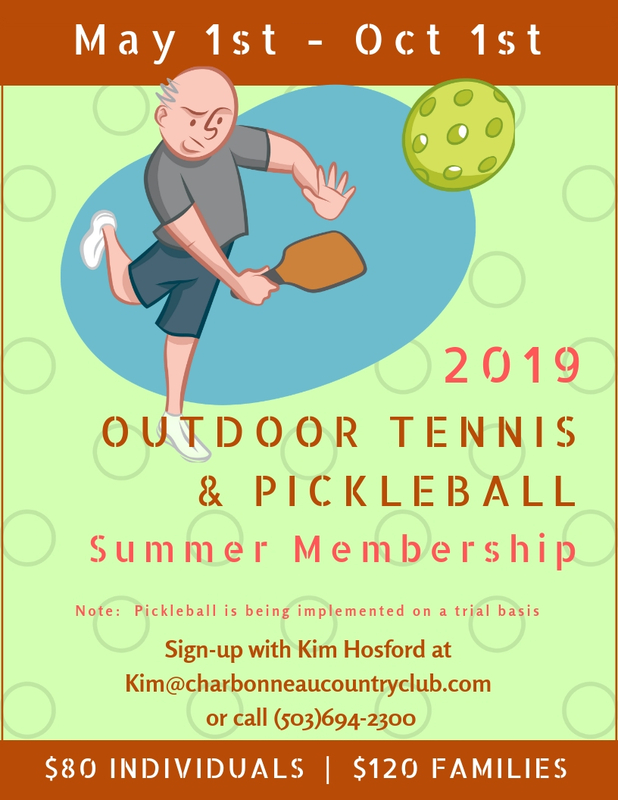 The new membership allows tennis and pickleball on the outdoor courts. 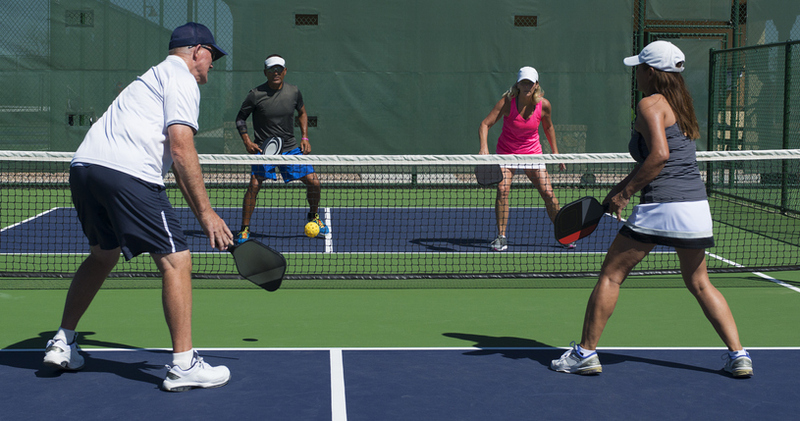 The pickleball is being implemented on a trial basis. 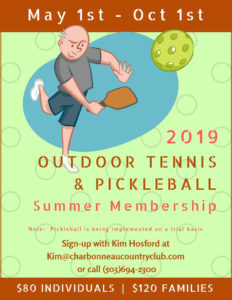 To obtain more information or to sign-up for this new membership, contact Kim Hosford at Kim@charbonneaucountryclub.com.